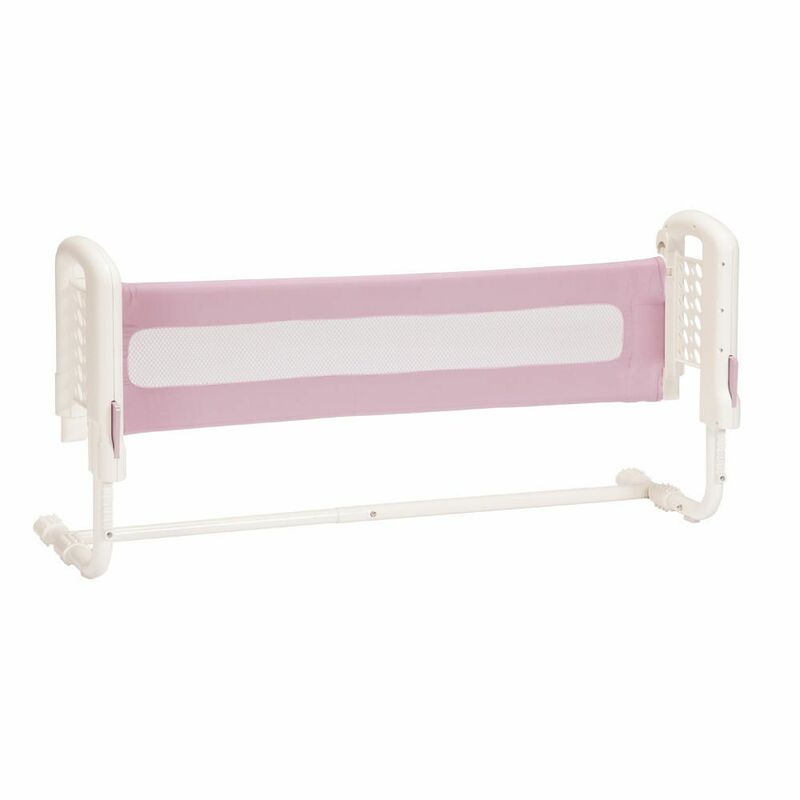 Use the Top-of-Mattress Bed Rail by Safety 1st to help keep your toddler from rolling out of bed. The top-of-mattress design eliminates potentially dangerous gaps between bed and bed rail. It provides a full 8″ of security above the mattress; fitting easily on a twin, full or queen-sized mattress with no loss of height. You can set the bed rail up quickly, just 3 minutes from box to bed with no additional tools required. Once set up, you can confirm with a quick glance at the SecureTech indicator that everything is locked into the proper position, and that your little one is ready to drift safely off to dreamland.